New technology offsets labour shortages and rising costs, writes Michael Taylor. The food service sector has been growing in importance in countries with high income levels in recent years, and this has been a blessing for suppliers of commercial dishwashers. But the industry also faces challenges. For many years, Hobart has been committed to developing a method of washing dishes without using water. In the daily operation of a commercial kitchen, it is a real challenge for the person in charge to collect and see all of the necessary information and to be ready to react quickly if required. “WashSmart, the new app for the under-counter and hood-type dishwashers by Hobart, now makes all relevant information available at the push of a button!” Ng says. The new HobartAPP offers a chance to call up key data and important information from anywhere in the world, whether via PC or smartphone. 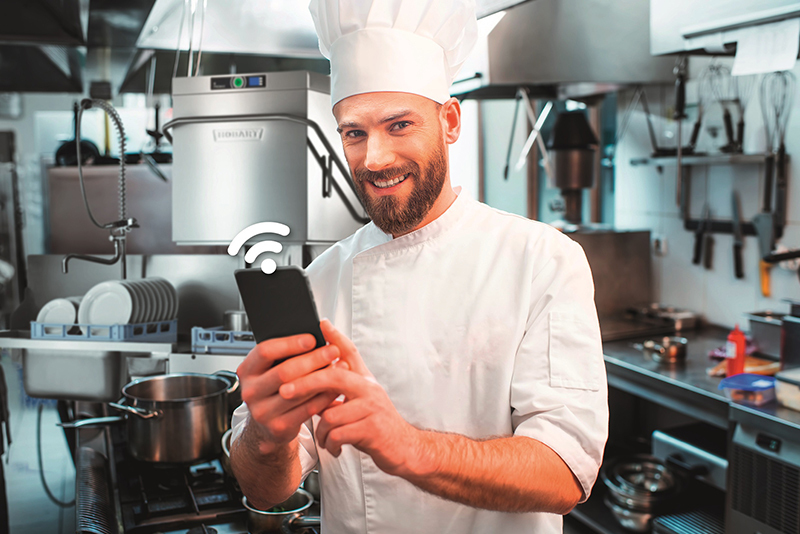 This makes the dishwasher’s work easier and more transparent and allows operators to react faster to the situation at hand. In developing new product features, the Hobart’s specialists cooperate very closely with their customers. In terms of safety, the app provides all key information at the push of a button. According to Mendel Sun, Chief Executive Officer, Champion Chemicals Limited, a dwindling labour force has become a serious problem for the food and beverage industry. Not only that, operating costs are also continuing to increase. As a result, many companies in the catering industry have had to face the pressure of raising prices, laying off staff or closing down operations. 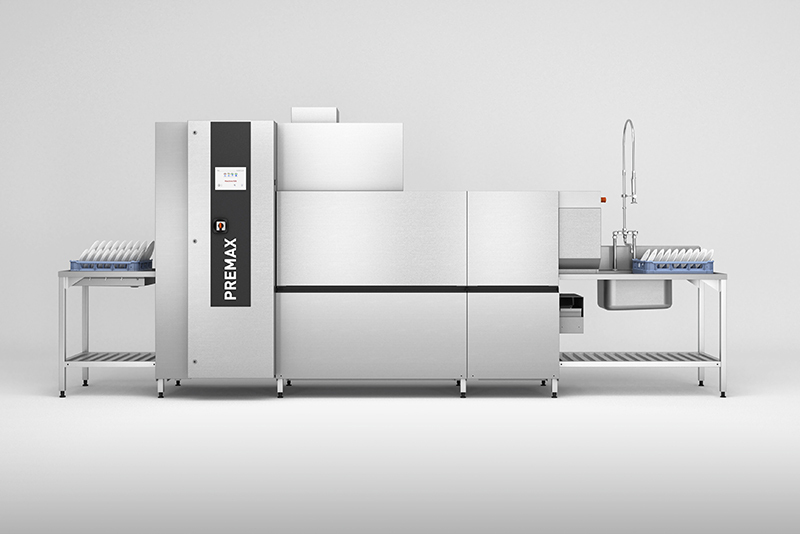 To cope with the labour shortage and rapidly increasing operational costs, Champion launched the Mini Flight Type dishwasher with a heat recovery System – AS-F(MG) – in September. With a patented Heat Recovery system, it can reduce the overall cost of water and electricity, which improve efficiency. “Quite a lot of people in catering management have told me that the operational costs in Hong Kong have become an increasingly serious problem, especially regarding electricity and the labour costs,” Sun says, adding that the patented Heat Recovery system can recover the steam to preheat the water and achieve a saving of over 48 per cent of energy consumption compared with earlier models. “At the same time, it can maintain the hygiene standard required of a commercial kitchen,” Sun says. Mini-flight types offer a cleaning efficiency that is 250 per cent better than conveyor type dishwashers. For example, using a conveyor type dishwasher, it would take about three hours to clean around 10,000 utensils. With a mini-flight type, only one hour would be needed. As a result, productivity is enhanced, and labour costs are cut. “Working hours in Hong Kong are among the longest in the world,” Sun says, “I believe this new product can significantly cut working hours.” And there are other benefits, as well. Not only can hours be reduced, the working environment can also be improved. “As the system recycles steam, the working environment becomes more pleasant for employees as the room temperature is decreased,” Sun says. The product is now being targeted at hotels, food courts and restaurants with more than 300 seats.